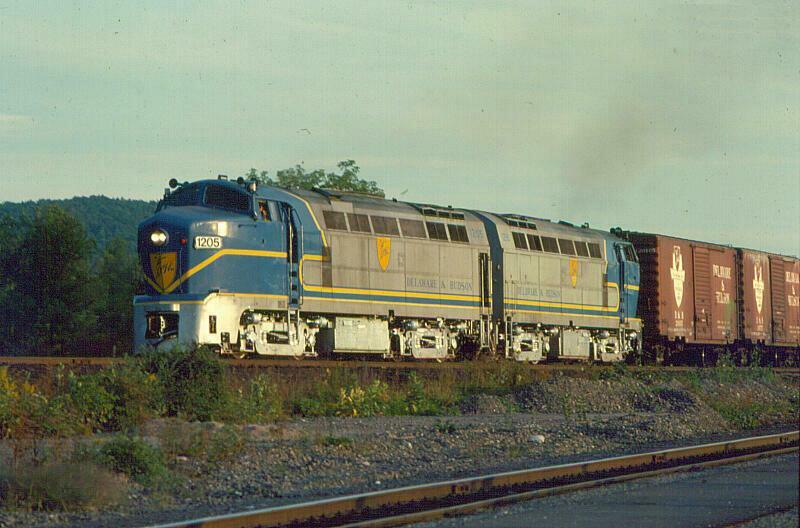 August 25, 1976 was probably the best day of railfaning I ever had. 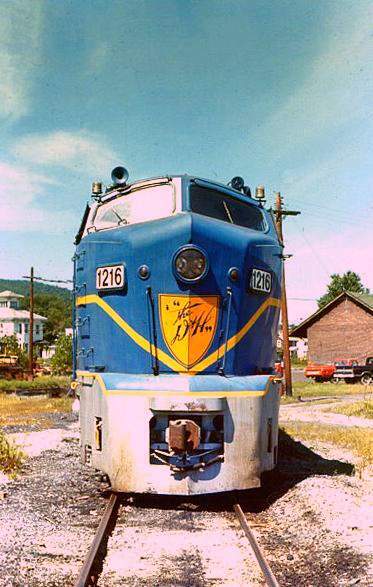 Being on day 4 of a 5 day trip that covered alot of the D&H in NY state, my friend Keith and I started by checking Oneonta, then visiting Colonie Shops, and seeing my old friends, 3 ex-LIRR C-420s! 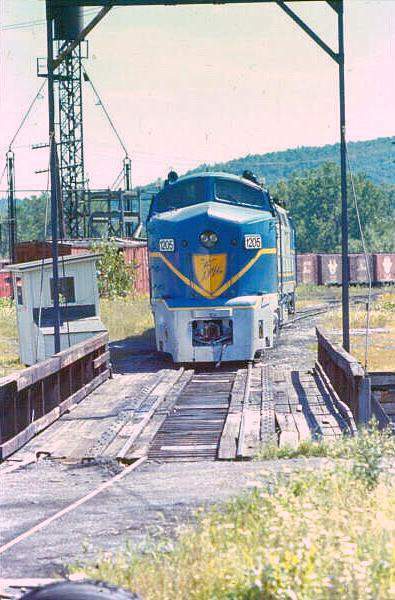 Our next stop was to be Whitehall, NY where the RF-16As 1205 and 1216 were kept at the time. We arrived in the late morning, and saw the sharks sitting in the engine shed there. We asked an employee if they were going to be used that day and were told they would be pulled out in the afternoon. We decided to have lunch, and when we arrived back, the units were already being pulled out by RS-3u #503! I took about 15 roster shots with Ektachrome and Kodachrome films, being they were the only 2 of their kind left anywhere! 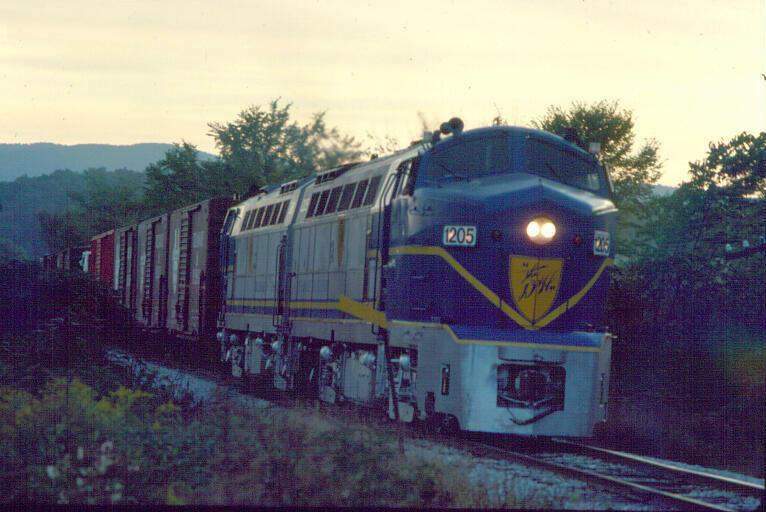 The employee also informed us they would work the SC-8 (Whitehall-Rutland, VT) local with a 6 PM call time. 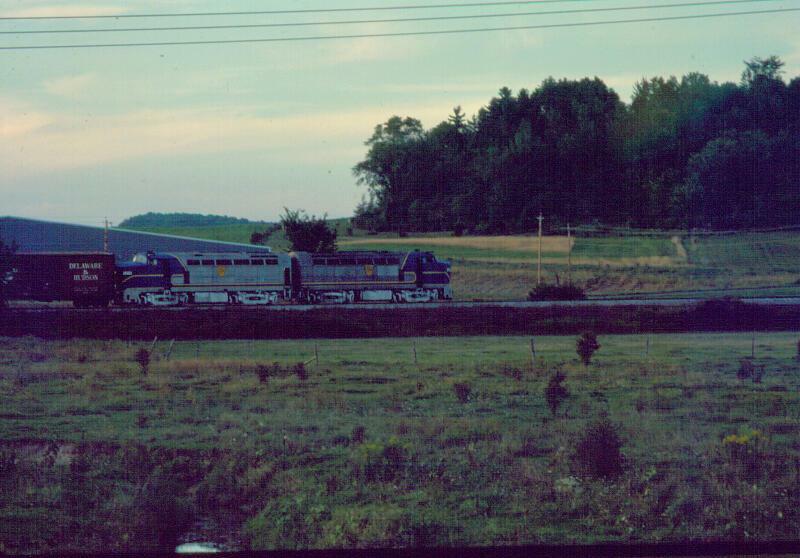 Next, we went to the passenger station to see the NB and SB Adirondacks with PAs 18 and 16! 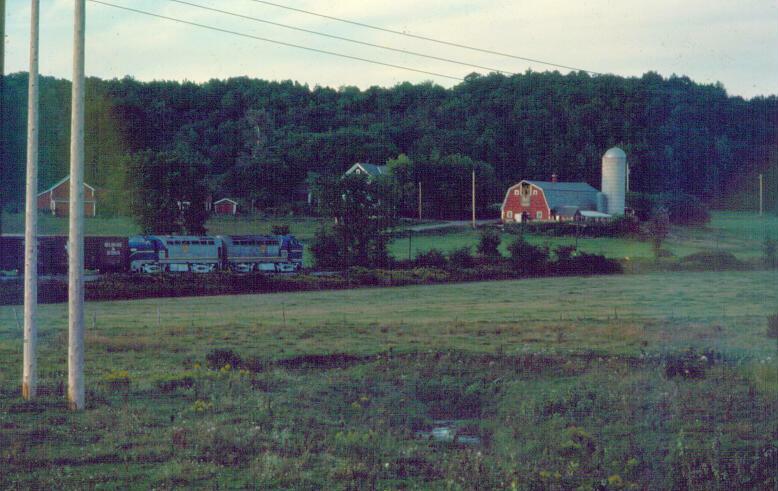 At around 7 PM, after picking up their cars, they started up the hill next to the station. They were restricted to 15 MPH on the branch, so chasing was very easy! 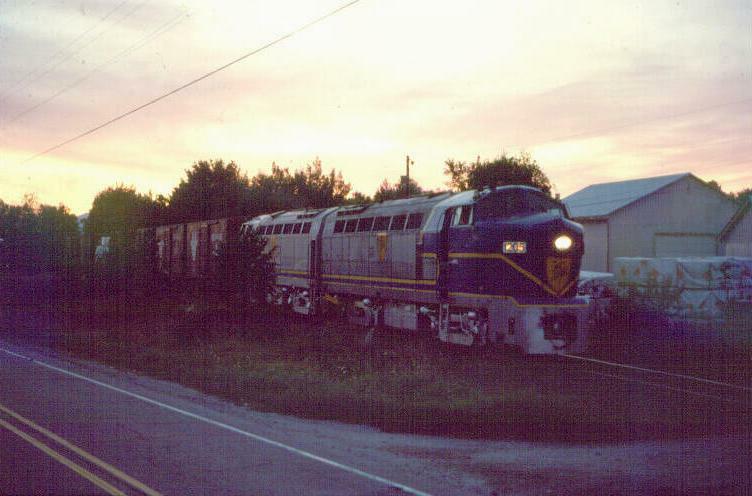 I took photos in the town of Fair Haven, NY through a field, with a barn in the background, and at a RR crossing, before it became too dark to shoot. They crossed into Vermont after dark, and we continued to follow them into Rutland to watch them work. 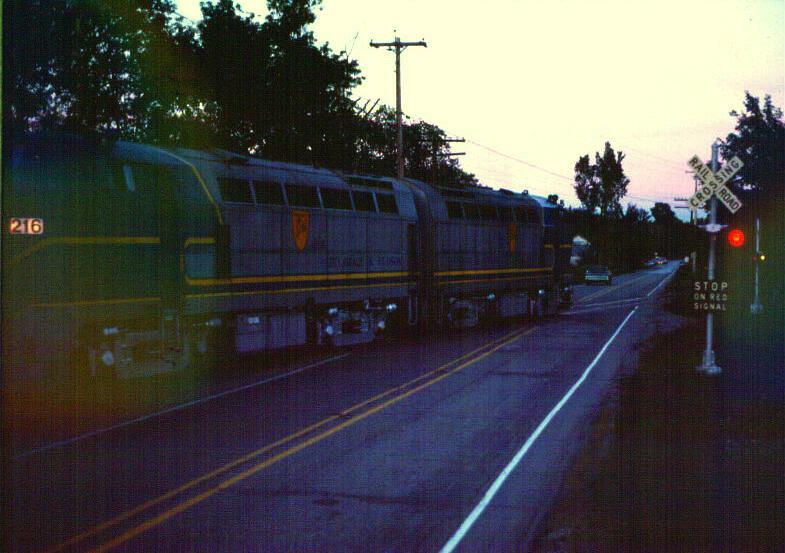 On the way back to our camp ground, we stopped at Whitehall to find a new arrival there, URS RS-3 #116! The perfect end to a great day! 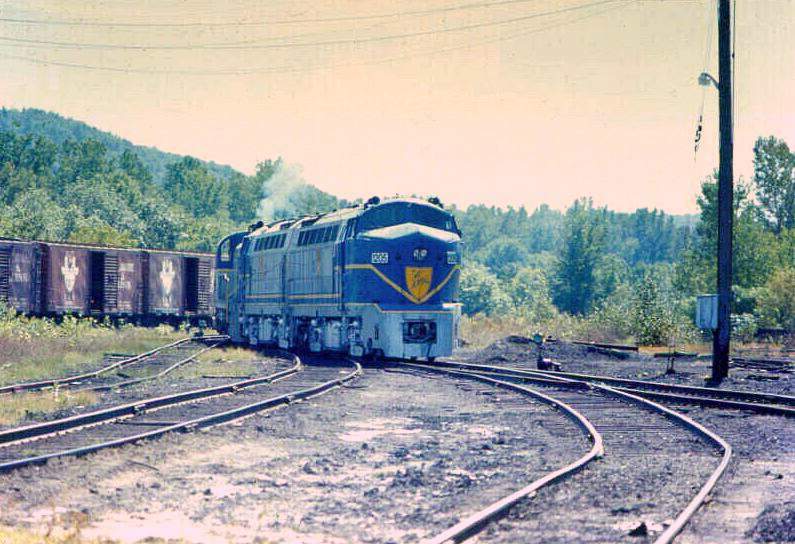 See the Delaware & Hudson Gallery Page for the complete history of these two last remaining Baldwin Sharks.